Reported by Kelly Crowe from CBC News at http://www.cbc.ca/news/health/drug-companies-caught-faking-data-1.3620483. Who cheats on tests? Some foreign drug makers do. Several dozen companies have been caught in the act, fabricating data used by Health Canada and other regulators to approve drugs for sale in the Canadian, U.S. and European markets. Western inspectors have found pages of important data buried under rubble. They've found evidence of erased computer records and falsified human blood tests. And those are just the examples they've witnessed. The data fraud is happening across the international pharmaceutical manufacturing industry. "Data integrity is a fairly new issue and it's an emerging issue," said Etienne Ouimett, Health Canada's director of drug establishment inspections. And because 80 per cent of drugs on the Canadian market and almost half of those sold in the U.S. are imported, Health Canada, the U.S. Food and Drug Administration and other health regulators are increasingly trying to crack down. In April, the FDA and the World Health Organization independently discovered problems at one private research company in Bangalore, India. Semler Research Centre was testing pills, in humans, for a variety of international drug companies. WHO inspectors reported finding evidence of "deliberate sample manipulation," which they concluded was "a common practice" and an "indicator of fraud." FDA inspectors reported observing Semler employees tampering with bioequivalence tests. These are experiments designed to prove that new versions of old drugs have the same metabolic effect on the body. The regulator says it caught Semler employees deliberately switching blood samples, to make it look like the the test drug was having the desired effect. The inspectors also reported finding raw data ripped up and crumpled on the floor. So far, the FDA has found no evidence of serious safety concerns with drugs approved using Semler data. But the agency demanded all of the tests be repeated by an independent group. Health Canada has identified one Canadian drug company that used data from Semler to have a drug approved for sale here. That company is Marcan Pharmaceuticals and the drug is moxifloxacin, an antibiotic used to treat sinusitis, bronchitis, pneumonia and other bacterial infections. Marcan's version of moxifloxacin is marketed in Canada under five different brand names and it's an instructive example of the maze that awaits anyone who tries to track the manufacturing chain of a single pill. 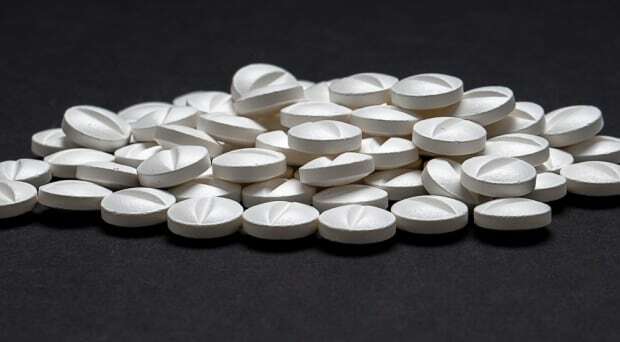 Health Canada says Marcan has been able to demonstrate the safety of moxifloxacin using other data. But the Semler story is just the latest episode in a burgeoning data manipulation problem that international agencies are working together quietly to try to control. Dozens of drugs are no longer being imported to Canada because of unreliable data, and more than two dozen suppliers of finished medicines and raw pharmaceutical ingredients are on a Health Canada watch list for data integrity violations. But it's almost impossible to find out which drugs are being quarantined and who sells them. Those details, along with information about where the drugs are made, are not routinely available to Canadians. Health Canada lists some of the examples on a data inspection tracker. But the list doesn't name all of the drugs affected or describe the nature of the data integrity problems. And the entire drug manufacturing chain is shrouded in secrecy, protected by a curtain of corporate confidentiality that Health Canada refuses to lift. It's an uncomfortable consequence of the global supply chain's growing complexity. Everything from raw materials to human safety testing is contracted out to third parties in India, China and around the world. These days even the regulators admit it's difficult to connect the dots. "Companies may one day buy an ingredient from the U.S and the other day buy the same ingredient but produced by a manufacturer in France," said Health Canada's Etienne Ouimett. "And depending on who provides the best service for money they may turn to a fabricator in Switzerland and then turn to a packager in another country." 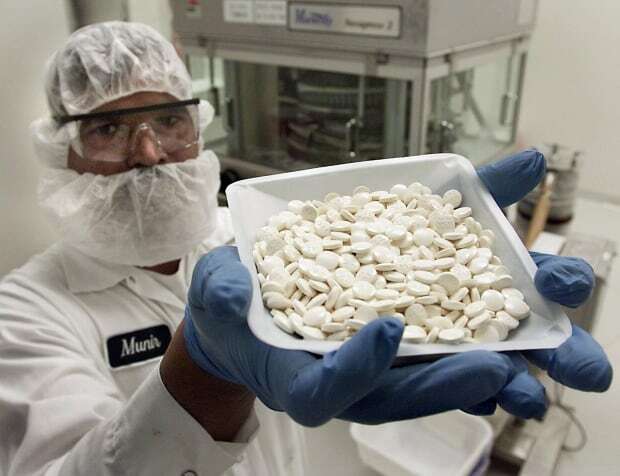 Matthew Herder, health policy researcher at Dalhousie University, said this means as drug companies become global enterprises, "we're taking on greater and greater risks of what we really know in the manufacturing of those drugs." Health Canada can only inspect a fraction of the hundreds of foreign manufacturing sites and instead gets much of its on-site inspection information from its "trusted partners," including the FDA and the European Medicines Agency. And those reports reveal the challenges inspectors face trying to uncover data fraud. 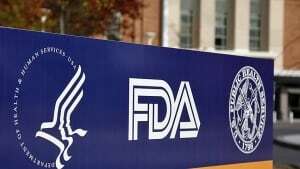 In one case, during an FDA inspection of an Indian company last year, an employee ran away with a USB thumb drive when he saw FDA inspectors. Fifteen minutes later, a manager came back with what the company claims was the same USB drive. But "it is impossible to know whether management provided the same USB thumb drive that the analyst had removed," the inspectors reported. In another case, in June of last year, a Chinese drug company refused to let Italian inspectors see ingredients and finished drugs being kept in an "unofficial and non-controlled storage area." The company had even screwed the door shut. Inspectors concluded the material was to be used "outside of a quality assurance system" and that there was a serious risk of data falsification. At a manufacturing plant in Tarapur, India, in February, French inspectors found raw data about some antibiotics discarded in a pile of rubble on the other side of a wall. The same company claimed it had manufactured the active antibiotic ingredient in-house, when instead it had purchased the product from a Chinese company not approved to sell pharmaceuticals in the European union. The data manipulation doesn't necessarily mean the drugs are dangerous. The problem is, without reliable data, their safety can't be proven. "If you can't trust that the drug contains the active ingredient at a concentration that it's supposed to contain, if it's too low, it can be ineffective. If it's too high, depending on what the drug is, it can actually be dangerous," said Barbara Unger, a pharmaceutical industry consultant in California. Last year, the FDA caught an Indian drug manufacturer manipulating tests for genotoxic and carcinogenic impurities. In another case, when the FDA responded to complaints from U.S. manufacturers about impurities in raw ingredients from a Chinese company and asked to see the data, inspectors discovered it had been deleted and the audit trail disabled. Two companies on Health Canada's watch list have been caught falsifying the source of their active pharmaceutical ingredient. Both claimed to have made the raw material, but actually purchased it from somewhere else. There's tragic proof that data integrity matters. In 2008, 19 people in the U.S. died and hundreds more were sickened by a contaminated blood thinner made from a raw material the FDA believes had been tampered with at its source in China. In January, the European Medicines Agency recommended its member states suspend the marketing authorization for 700 drugs because of data integrity violations discovered at one contract research organization in Hyderabad, India. But banning drugs can cause drug shortages and that creates new headaches for regulators like Health Canada. "They have to balance whether the risk to public health is greater if they take these medically necessary products off the market," said industry consultant Barbara Unger. That means if a company is making medications that are deemed to be "medically necessary," Health Canada will still allow the drugs to be imported into Canada, with conditions, even if there are questions about the integrity of the data used to approve them. "It's a case-by-case basis because it varies by the nature of the product, by the nature of the data integrity issues," said Ouimette. "We will work with the company to design the terms and conditions that are such that will mitigate the potential risk of the product coming into the country." In India, Bharat Mehta is one of the few people speaking out about the data manipulation problem. He spent 15 years in the Indian pharmaceutical industry and now writes an industry newsletter. He says the reasons for faking data are clear: the companies are being hired to test drugs and ingredients, and they want to get the answer their customers are paying for. "If you develop a reputation of being a lab which would not be able to demonstrate the equivalence, at some level why would people come to you for business?" he said. The companies also know that Canadian, American and European inspectors want to see a paper trail for the drugs they import. "There's a very high degree of focus in pharmaceutical quality to be able to back up whatever you say with paper," Mehta said. "And so because of that pressure a lot of companies are manipulating their documentation." And without knowing who really makes a drug, consumers can't apply pressure or make informed decisions. "Currently the entire system is extremely opaque," Mehta said. "We know where our shirts are made, we know where our shoes are made, but we don't have that level of detail over where our medicines are made." "And I think consumers should have access to that type of information so it pushes the industry to hold itself to a higher quality of standards." That's why many are calling for greater transparency. At Dalhousie University in Halifax, Matthew Herder has been pushing Health Canada to release all industry data. "If your goal is to encourage better oversight, better data integrity in the research and development process, then I think there's good reason to have a lot more transparency about that complicated group of corporate actors that are involved," he said. We at Labii Inc. are creating a research data documentation and management platform (combination of Laboratory Information Management System, LIMS and Electronic Lab Notebook, ELN) to avoid or minimize the scientific research fraud and increase data transparency. We followed GLP/GMP complaint strictly and do not allow data deletion. A new version of experimental data will be saved for each change. The platform also serves as centralized research repository and provides a port for regulation affairs (like FDA) to login and check companies' research data.